We’re at an interesting point in history. The global cyber security market is expected to be worth as much as $170 billion by 2020. At the same time, we’ve seen more hacks and attacks in the last 12 months than ever before. It’s essentially a race to the top. Will hackers or security experts arrive at the summit first? The good news is that security experts always have the upper hand. 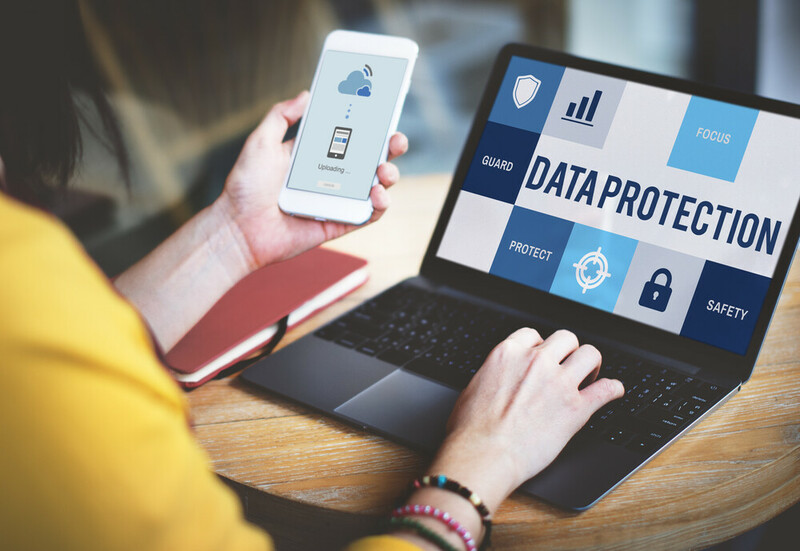 There will always be new ways to combat cyber threats, but it’s up to individual businesses to adopt these technologies and best practices if they want to protect their data – particularly data that holds private customer information. If you collect it, you better protect it. That should be your company’s unofficial motto when it comes to customer information. But if you’re like most, you don’t know where to start. The following tips should give you some idea of how to take action. Any and all sensitive information that you store on your server should be encrypted. If left unencrypted, you’re ultimately saving private information around for hackers to pounce on. When you encrypt data, it doesn’t necessarily mean you’re making it harder for cyber criminals to hack you, but it does greatly diminish the risk of a hacker stealing information and being able to use it. Should they get their hands on encrypted data, it’ll be as good as gibberish. It would be smart to regularly reevaluate who has access to what information in your company. While you may trust all of your employees, the fact remains that the more access there is to data, the more likely it is that something will be compromised. If someone doesn’t need access to do their job, go ahead and cut them off. For small businesses, in particular, shared servers are often used to save money. And while this is fine in most cases, a shared server opens you up to unnecessary risk. People outside of your company have access to your server, which should be a little disconcerting. If you really want to buckle down and protect your customers’ private data, you should be using a dedicated server. Thankfully, the transition from a shared server to a dedicated server isn’t as difficult as it once was. You’ll just need to find a new platform that you like, set up your new hosting account, and follow the instructions for moving files and data. It’ll take some time, but it shouldn’t be too complicated. When your customers give you personal information, they’re assuming and trusting that you’ll protect it. Should you fail to protect their data and expose them to unnecessary risk at the hands of malicious hackers, you’ll ultimately lose their trust and compromise their privacy. While damaging lawsuits could be one byproduct, a loss of trust will ultimately be the costliest.